Gentlemen, please. Know that among the most important things in making a good first impression is the quality of your shoes. You will smile, shake hands, and speak. But before that, the person opposite you will make about a dozen visual observations and assessments, or so say researchers who study things like this. Believe them. Put your best foot forward, to borrow a cliche. First, avoid the boxy square toe shoe. I don’t see these much in Europe, but the fact that they’re still being sold in the United States of America makes me ashamed. Non, s’il vous plait. Non. Non. Non. Non. Non. Just as bad is the point toe shoe, which, dishearteningly, is worn by more French men than I care to notice, usually with pants two sizes too small. Opt for the tasteful, traditional and timeless: a brown lace-up with a moderate, slightly rounded toe. You’ll be glad you did, and I’ll sleep better at night. Footwear warnings for females too sir. Please. I’m from India and we find it hard to wear nice shoes with formal sarees for office. Loafers don’t look all that good. I can’t remember having sees such square toe loafers in Europe, but, indeed, we have other sartorial atrocities instead.This illustrates how tribal our dressing actually is. Even if the shoes were made with the best craftsmanship and leather, they would still look ghastly. On the other hand, many elegant people find a boxy Volvo wagon and, say, Farnsworth House rather pleasing to the eyes — I fully agree. It’s rather fascinating. Love the last pair of shoes. Totally agree. AE Man here, all the way. I had a pair like the first one. 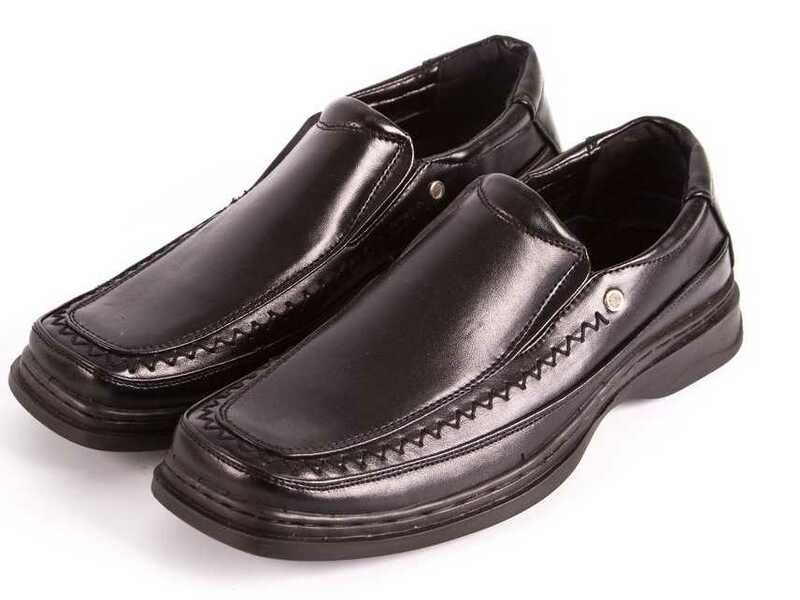 Very economical for work and comfortable, but I felt cheap and looked terrible. My wife and I agreed to throw them away because quality and style are what we are after. Comfort only goes so far. In this pair’s case, it went as far as the trash can. Byron, I’ve recently discovered your blog and I love it. I do wish I there was a female perspective on these same topics, I’m from a middle class family recently engaged to an affluent man and I’m struggling to find sensible shoes to purchase for casual social outings where heels are not appropriate. What shoes does Mrs. Tully wear? I was considering Chanel flats or Tod’s loafers but are these too extravagant in your opinion? Welcome, Lilian, and thank you. I’m working on a new book, Old Money, New Woman, in which I’m going to address specific issues that women face. I am negligent in shifting gears and posting on Old Money Gal topics. Specific brands: Fratelli Rossetti, Ferragamo, and Fendi. These shoes are not cheap, but they have been around and they will last. (I know one pair my wife has are 30 years old.) So, as they say, the quality is remembered long after the cost is forgotten. I rounded up all my remaining square toed shoes from the back of my closet and gave them away. Unfortunately, many of these shoes were quite expensive (Ferragamo, Gucci etc.). Lesson learned! Today I mostly buy Allen Edmonds – especially models that could have been worn by my grandfather or my father. Check out these awesome vintage AE catalogs from the 1950s. 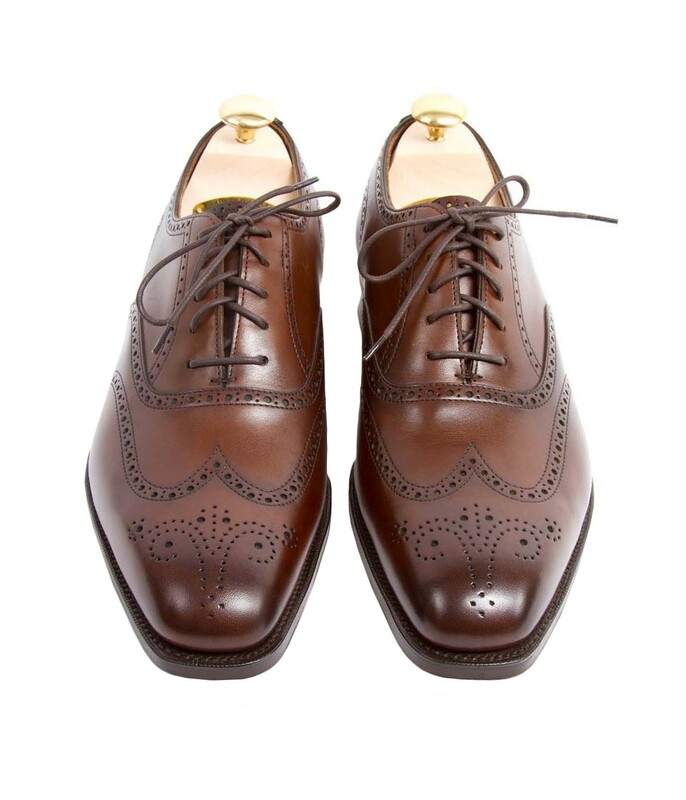 https://issuu.com/allenedmonds.